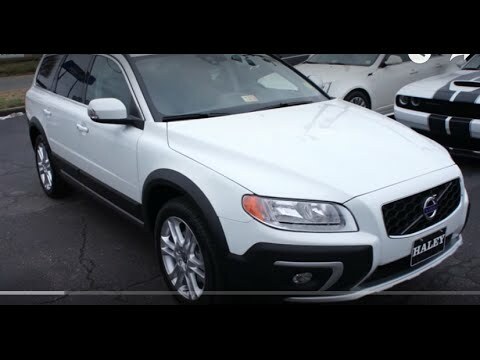 The 2016 Volvo XC70 wagon proves that the SUV has not conquered every family. As capable and luxurious as the finest Volvo sedan, the XC70 adds SUV-like ground clearance and available all-wheel drive for light off-road duty. A lengthy list of optional features keeps the XC70 a step ahead of the Subaru Outback and right in line with Audi's Allroad. It's safety features built into a luxury interior. It's comfortable, powerful, really pretty, and fun to drive. It's safe and reliable and has great cargo space. It's easy to park, has great pick-up with turbo. I will never buy a car that is not a Volvo. My Volvo is very reliable, it gets great gas mileage, and has had minimal problems. It runs smoothly and accelerates and decelerates easily. A Volvo for All Seasons and situations. It's been reliable and handles the snow and ice well due to its all wheel drive. It has a strong engine and accelerates well.